What is an escape sequence (escape character)? An escape sequence is a special character string that controls character output, such as character color change, cursor movement, and character deletion, when outputting characters on the screen, rather than outputting the characters themselves. In addition to the information that people can recognize as “character”, information other than “characters” such as control characters and character editing information on the OS is also included a s character information used in the OS. These characters are sometimes called “special characters”. An escape sequence exists for this special character to let people enter characters and tell it to the OS. Typical escape sequences include the following characters. When “sjis-win” is specified as character code in PHP, Windows-31J which is Shift_JIS extended by Microsoft. Windows-31J is a character code based on “JIS X 0208-1990” by microsoft, incorporating some of NEC and IBM’s own extended letters, generally called SJIS “model dependent characters”. What is difference between SJIS and SJIS-WIN? In frequently used places, the following characters are in sjis-win, but not in sjis. 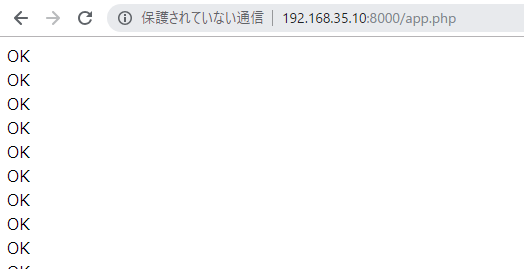 There is a trouble that it is not goes well at reading one line regular expression. I would like to code if only one dot contained in a line, issue an alert. Regular expression does not work well in this code. A half-size dot in a regular expression means an arbitrary one character. How to count the number of characters, number of bytes, character width (apparent length) of a character string in PHP? Generally, to know the number of bytes, use strlen. Also, use mb_strlen to distinguish between full-width and half-width characters and count the number of characters. Use mb_strwidth to count character width(apparent length). Let’s put emoji and count it. Then, let’s display an alert if it is more than 10 bytes. Some of the pictograms and Chinese characters are 4bytes of UTF-8 characters, and cannot be saved depending on the version of mysql and character code. I think there is something I want to check that there are more characters than the UTF-8 range in the string. let’s look at sample, cherry blossom is 4 byte characters. Ok then, I want to display an alert if 4-byte characters are included. Let’s see regular expression below. I want to convert a character string to unicode using urlencode. Am I doing right coding?? It refers to the correspondence between the characters used on the computer and the numbers in bytes assigned to each letter. Character codes have some to be used in many language spheres by computers, and the variety has increased. Typical character codes are said to be more than 100 kinds. The official name is “ISO-2022-JP”. It is widely used. It is ASCII code plus Japanese, and it is used in Japan domestic mobile phones. It is widely used on UNIX. Unicode consists of “encoded character set” and “character encoding method(encoding)”. “Character set” refers to letters put together by certain rules such as “All Hiragana” and “All Alphabet”, for example. A rule in which a unique code is associated with the character set is called a “coded character set”. The associated numerical value is called a code point and it is displayed in the form of “U + xxxxx”. “Character encoding method” is a method of converting a coded character set into another byte sequence so that it can be handled by a computer. The encoding methods include UTF-8 and UTF-16.